Mumbai's retro era has always found favour with Bollywood. 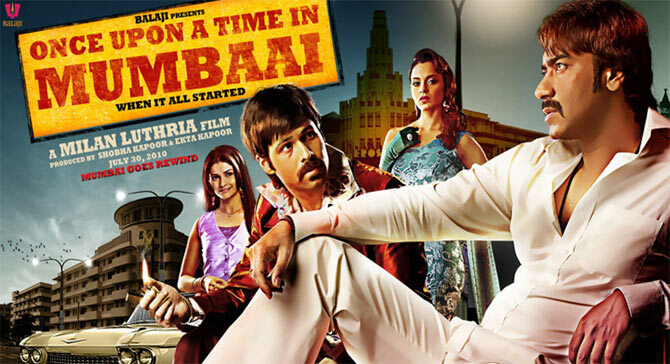 Mumbai, its Bambaiya josh and Mumbaikars have often highlighted Hindi films. In Bombay Velvet (director Anurag Kashyap's promising-looking crime drama set in 1960s Mumbai, then known as Bombay), we encounter coiffed hairstyles, dramatic make-up and eccentric sunglasses strongly reminiscent of that era. 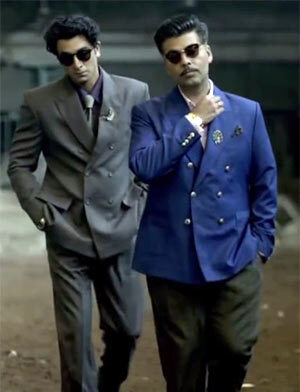 Image: Ranbir Kapoor and Karan Johar in Bombay Velvet. Bombay Velvet is Anurag Kashyap's most ambitious project yet. Recreating Bombay has contributed a great deal to the film's scale and budget. Kashyap's cast and crew were stationed in Sri Lanka for weeks on end as his technical team recreated Bombay on the island with generous help from VFX. Director Milan Luthria's 2010 hit was successful in portraying the Mumbai that existed in the 1970s, when the reins of the city's underworld was about to pass from the likes of Haji Mastan Mirza to thugs like Dawood Ibrahim. The costumes, locations, the background score... everything about OUATIM were stark reminders from that heady decade. The central characters, played by Ajay Devgn, Emraan Hashmi and Kangna Ranaut, were always believable. Image: Priyanka Chopra in Agneepath. Producer Karan Johar didn't want to compromise on his Agneepath remake, so the Hrithik Roshan-Priyanka Chopra starrer, even though it came 20 years after the original, was set in the 1990s. Most of the film was shot in Diu, but some parts were set in Mumbai. Image: Deepika Padukone and Shah Rukh Khan in Om Shaanti Om. Farah Khan's ode to the Bollywood of the 1970s -- with Shah Rukh Khan as its star -- was as retro as they come. Right from its resemblance to Subhash Ghai's Karz to the costumes and performances... everything was entertainingly spot on. Though director Sudhir Mishra's take on the film industry -- set in 1960s Mumbai -- was made on a tight budget, the movie recreated old glamour by way of its settings and themes that celebrated its characters' spirit. 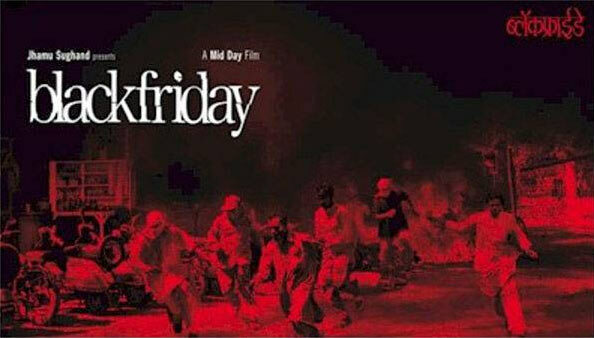 Anurag Kashyap recreated the horrific blasts that shattered Mumbai on March 12, 1993. His realistic treatment made this gritty film a must-watch. 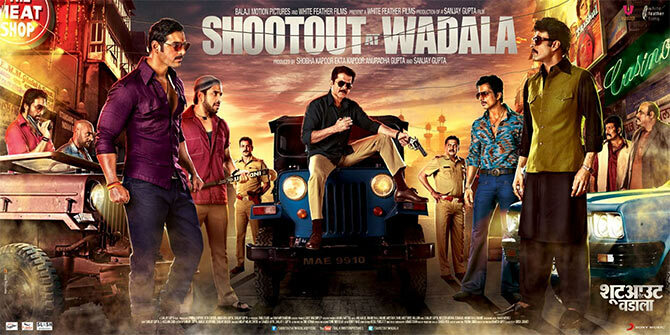 Ever so stylish in the way he shoots his films, Sanjay Gupta made sure his action drama Shootout at Wadala looked authentic. 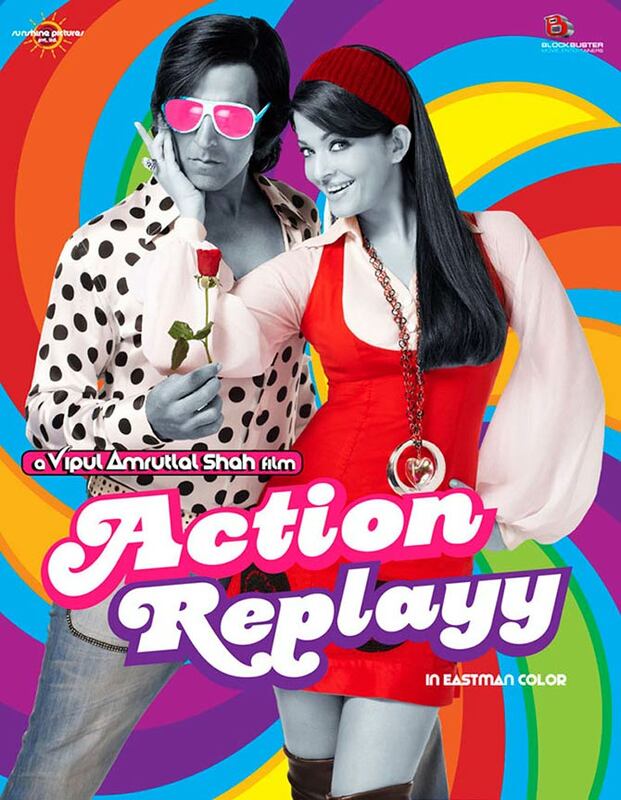 When Akshay Kumar and Aishwarya Rai decided to go retro with Action Replayy, a lot of fun was expected to unfold on screen. Since the film was mainly about time travel, there was quite a bit of back and forth involved between two decades. Image: Priyanka Chopra in Teri Meri Kahaani. For director Kunal Kohli, the challenge was even bigger as he had to traverse three decades for Teri Meri Kahaani. The film captures Mumbai of 1910, 1960 and 2012. 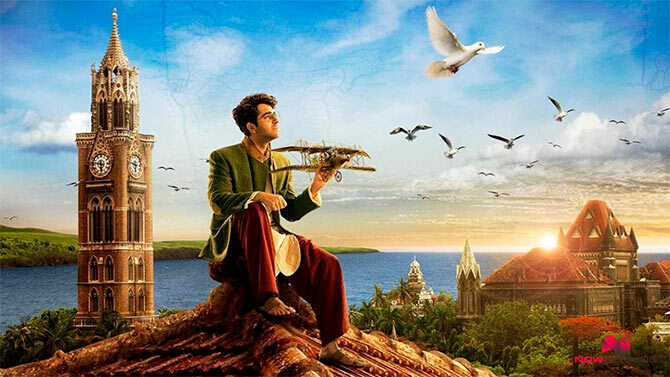 Image: Ayyushmann Khurrana in Hawaizaada. What did Bombay look like more than 100 years ago? Hawaizaada attempted to recreate that past.